Tom Carrico has helped countless careers with his guidance and advice on how to have a career in music. Now SAW gives you a chance to hear him and speak to him. This will be a rare opportunity to find out what the best paths to a music career are and how to follow them. Strong, clear imagery Promo Photos and posters Can you make me a star? Tom Carrico has helped countless careers with his guidance and advice on how to have a career in music. Now SAW gives you a chance to hear him and speak to him. An In-demand consultant, speaker and panelist at SXSW, Folk Alliance, Grammy in the Schools, NACA and other industry events, he is best known as manager for multi-platinum selling, multi-Grammy winner Mary Chapin Carpenter (1985-1995), and as an agent for East Coast dates for Stevie Ray Vaughan & Double Trouble in the late 70’s, prior to his breakthrough record deal. TC has is manager for Chopteeth Afrofunk Big Band and recently left a position as Talent Buyer at Bethesda Blues and Jazz. 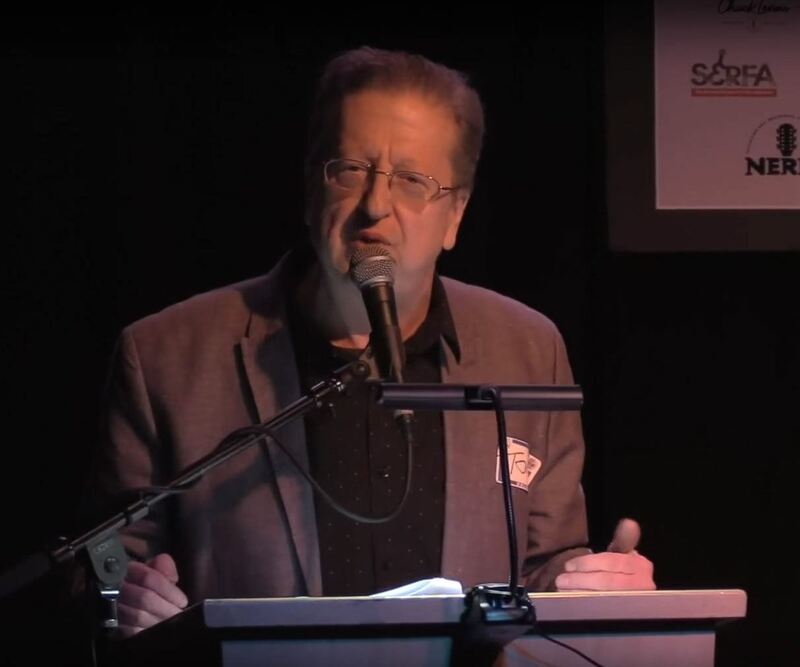 He has served as manager for Steve Forbert (Geffen Records), The Nighthawks (Mercury Records), Mike Henderson(RCA Records), Jonell Mosser (MCA/Karambolage Records) Billy Price & the Keystone Rhythm Band, Evan Johns & the H-Bombs and more. Tom is a founding member and former board member of WAMA, and former board member for the DC Chapter of The National Academy of Recording Arts & Sciences (NARAS-grammy.com) and Songwriters Association of Washington (SAW). He has been honored with fourteen Wammies Awards by his peers in the Washington Area Music Association, twelve as manager (2012 Emeritus) and two additional, as a founding member (2010) and for his charitable work (1994). He produced the twelve-artist Hell or Highwater Musicares Benefit (2005) at The State Theatre for musicians displaced by Hurricane Katrina. As Promoter and Talent Buyer for The National Park Service, he booked a series of weekly summer concerts at Glen Echo Park, and promoted a:winter series in the park’s Adventure Theatre that included one of Emmylou Harris’ final DC concerts before she left to record her debut album. As Talent Buyer for The Adams Morgan Day Festival, he brought The Neville Bros., King Sunny Ade & His African Beats, Dirty Dozen Brass Band, and Wayne Toups & Zydecajun, and many others.